Chicken alfredo open toast is yummilcious & tummy filling toast which is made with chicken and alfredo sauce layering on bread. It is super easy to make and gets ready in less than 30 minutes. 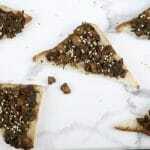 The toast is crunchy and creamy at the same time. 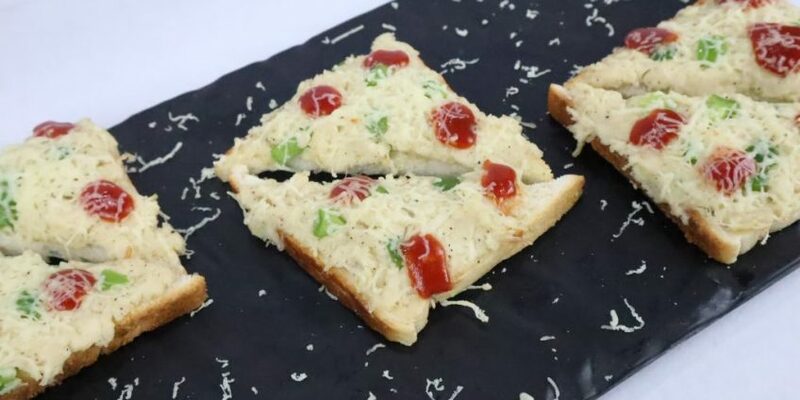 I have made a version of it before in vegetarian so all your vegans can enjoy veg bread pizza recipe. 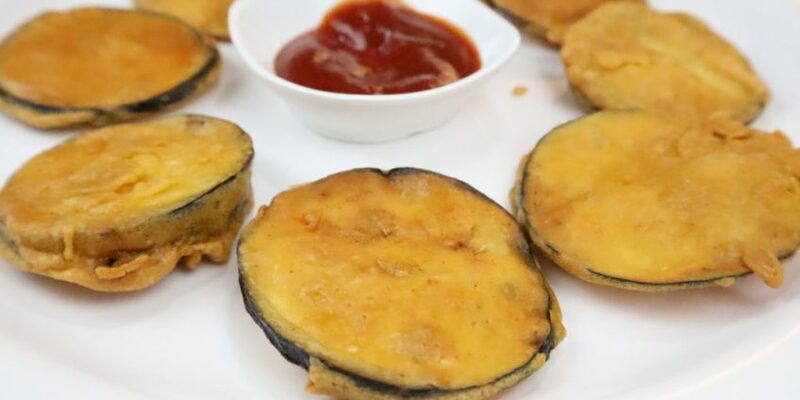 This recipe is really wonderful for kids to impress them with new cheesy chicken taste. 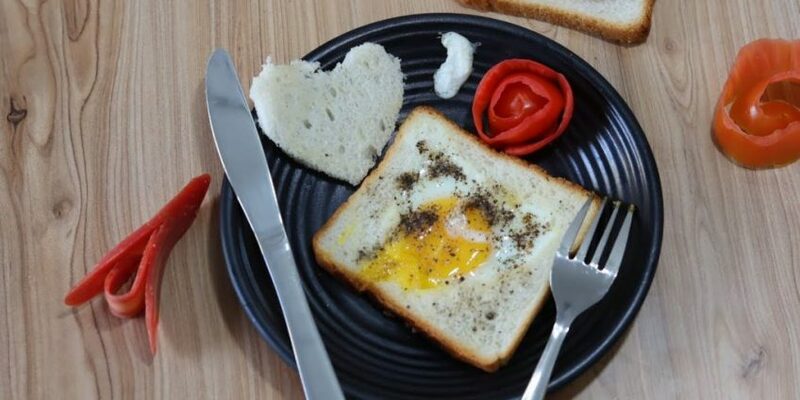 I made it for my 4 years old girl who eats this toast at least 4 pieces all together. This is a very classic open toast you will ever eat in your life. Take a vessel. Add boneless chicken. Add ginger garlic paste & boil it for 25 minutes. Heat butter in the pan. Add all-purpose flour & roast it until it gets golden. Then add cream & mix it well. Add salt to taste & black pepper. Again mix it well. Now add shredded chicken in it. Add diced capsicum & mix it well. The alfredo sauce is ready. Take bread slices. Cut it in triangular. Spread alfredo sauce on each slice & grate cheese over the slices. Toast it at 180 degrees for 10-15 minutes. 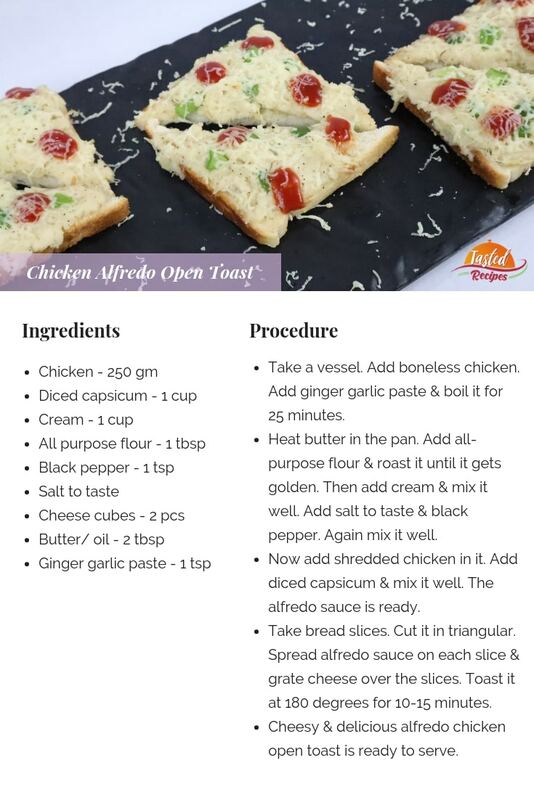 Cheesy & delicious alfredo chicken open toast is ready to serve.